“Every shopkeeper is an artist,” proposes Bill Davenport. And while he may not be Salvador Dali or Andy Warhol—both of whom designed store window displays—I can’t help but be impressed with the arrangement of clutter that fills Bill’s Junk, his 11th Street storefront. 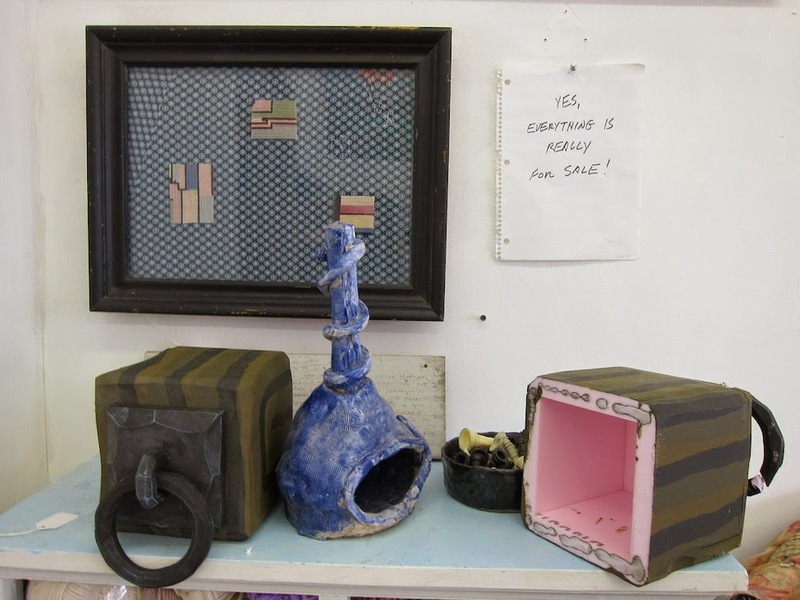 “Store display is a form of art, and I suppose junk stores have more flexibility than most. 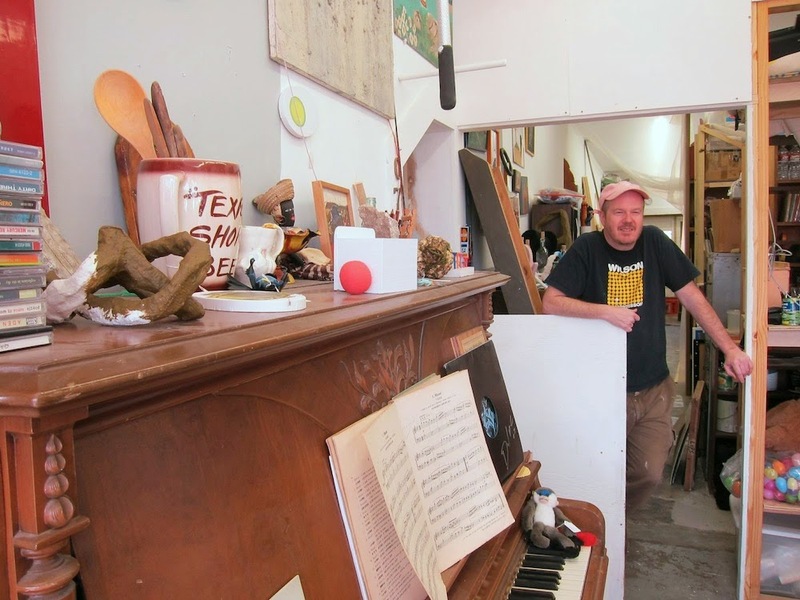 The kind of things I deal in are second-hand objects, so as you can see, I have a lot of scope of how I can arrange things.” The walls and shelves are filled with some twenty years’ worth of Davenport’s scrounges from the flea markets, yard sales and trash piles of Houston. “Okay, maybe that one’s a bit overpriced,” allows Davenport. “But then again, for a cybernetic organism, it’s not a bad deal.” There are stacks of used CDs and boxes of weird stuffed animals and an array of misshapen ceramics, the forlorn school art projects of decades past. It’s not too far a leap from the display found at Cleveland Turner’s house, a whirlwind of junk with no rhyme or reason to its placement except for one man’s aesthetic instincts. It’s become perceived of as something of an art installation within certain circles, owing to Davenport’s background as a sculptor who uses the most modest materials, but that wasn’t the original intent. In 2006, Davenport and his wife, the painter Francesca Fuchs, purchased the 4000-square-foot building at 1125 11th Street. Built back in the 1930s, for some seventy years it functioned as a fleabag flophouse, with a series of what Davenport terms “sad, pathetic businesses” downstairs: a procession of barbers, lunch counters, and most recently, a ramshackle party supply store. The latter’s window painting has been modified, transforming the word “BALLOONS” into “BI LL ‘S”. Davenport himself spent sixteen months renovating the structure from top to bottom, moved his studio into the back, made an apartment for his wife and two boys on the second floor, and pushed his surplus objects into the storefront. Davenport, who was born in Greenfield, Massachusetts in 1962, picked up art degrees at the University of Massachusetts and Rhode Island School of Design. After graduation he taught a wood shop class at a Quaker school in central Massachusetts but moved to Houston in 1990 when he was invited into the Glassell School of Art’s Core Residency Program. He reaches into a cabinet and produces an example of the kind of sculpture he made at Glassell. It’s made from five small, unpainted scraps of wood, some with angled cuts, glued together. Yes, everything is really for sale! Davenport went on to teach classes in sculpture, painting, art history and art appreciation at just about every school in the Houston area, along the way working with painting, crochet and large-scale outdoor sculpture as his preferred mediums. A bin on the curb in front of the store is filled with one of his current sculptural modes—mystery objects, wrapped in newspaper and wound with colorful yarn. A price tag dangles from each, for example: “Object that could bring you luck - $3”. His work is handled by Houston’s prestigious Inman Gallery and he’s equally well-known for his daily blog updates for the Texas art website of record, Glasstire, for whom he’s written since 2001. 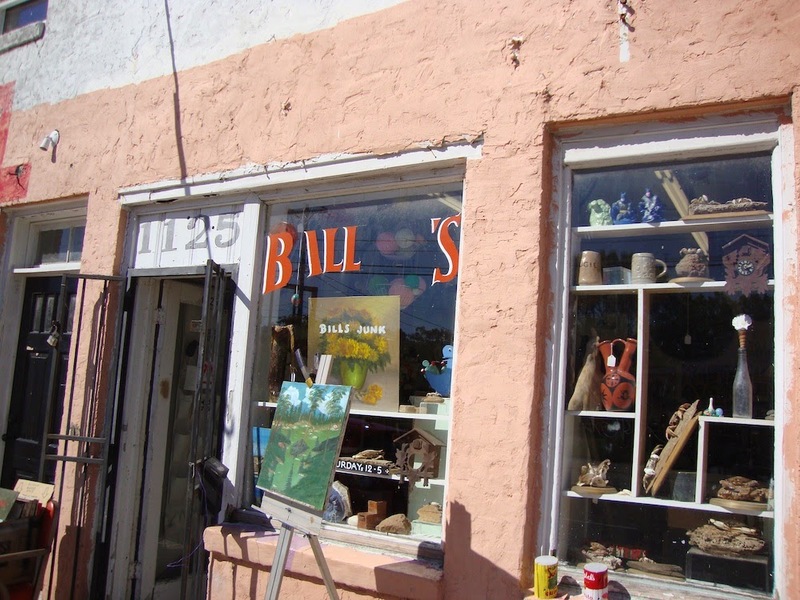 When he opened Bill’s Junk in 2008, a steady stream of friends and strangers came to browse. Then one day, Toby Kamps walked in, and asked him if he’d be interested in recreating the store for an exhibit he was curating at the CAMH called No Zoning. Davenport accepted the invitation, but he admits it was with mixed feelings. “It was a bit of a crisis. You’re an artist. Important curator comes to your studio, and he doesn’t want your art, he wants your junk. 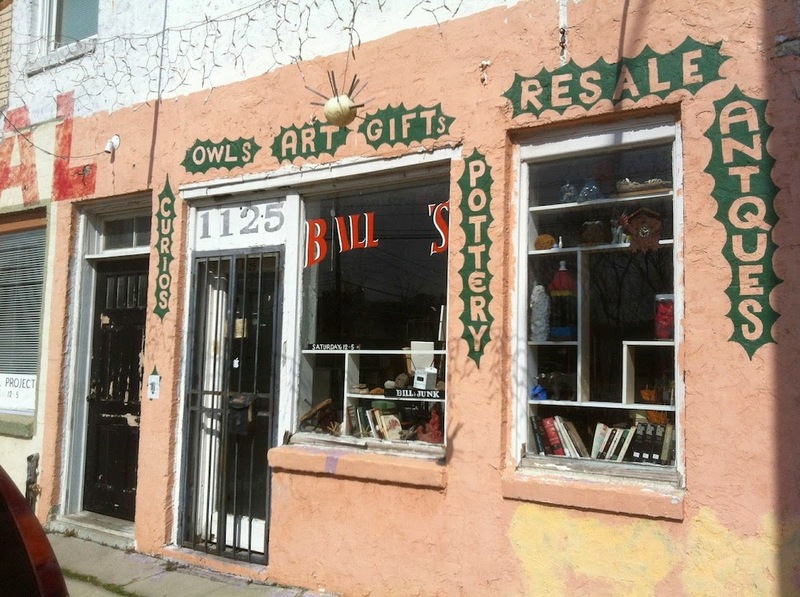 What do you do with that?” In this case, he went with the flow, and replicated his shop within the CAMH’s gallery space, selling thrift store art, decorated sea shells and macramé owls to show-goers—in fact, eager buyers emptied out his store three times before the exhibit came down. The process had come full circle. Not only was the collection of cast-off materials art; now so too was the act of its resale. With Bill’s Junk, Davenport was making a sly (and possibly inadvertent) commentary on the art’s commercialization.